Pontine Islands and Flegrean Islands... Romantic marinas and ancient villages, all small paradises within a boat surrounded by a crystalline sea: a journey through the waters furrowed by the ancient Romans, ships of the Maritime Republics, Paleolithic peoples, Phoenicians, Etruscans, Romans, Barbarians and pirates. Pisani, Genoese, Florentine, Neapolitan, Spanish, English and French, including Napoleon Bonaparte, who understood the wealth, beauty and strategic position of this small strip of land in the middle of the sea. The stages of our sailing trip are certainly among the most sought after and with some gem: Palmarola, Ponza, Ventotene, Ischia, Procida... Difficult to choose which of these destinations is the most beautiful, the most loved and most desired by travelers of the entire globe. 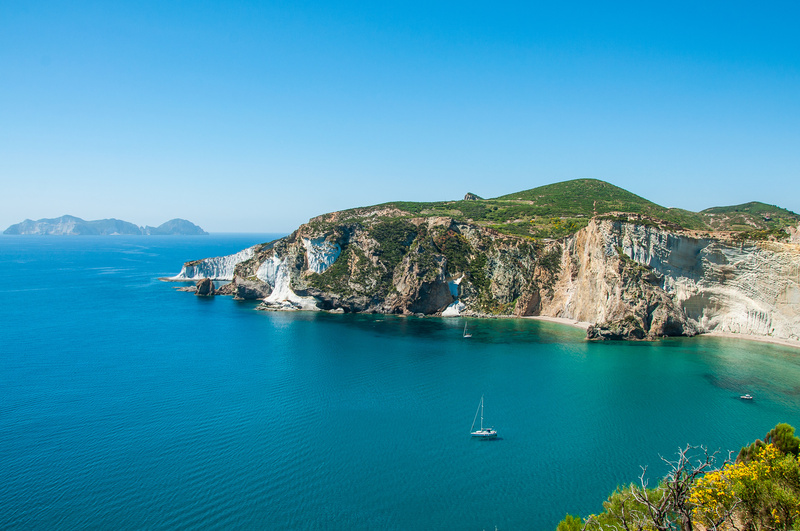 ...Palmarola, formerly called Palmaria, is located about 10 km west of Ponza and is the third largest island of the Ponziano archipelago, after Ponza and Ventotene. Also called "la Forcina" because of its shape, it actually takes its name from the dwarf palm that grows there, the only palm tree native to Europe. In Palmarola Pope Silverio was exiled and died, Patron Saint of the municipality of Ponza: the rock of San Silverio houses on its summit a small chapel that the popular tradition narrates on the remains of the forced residence of the Saint. Palmarola, nature reserve, is considered one of the most beautiful destinations in the world thanks to its uncontaminated nature and the variety of its coasts... Sailing on its waters is an unforgettable experience! Ponza, the largest of the Ponziane Islands, located 21 nautical miles from the Gulf of Gaeta and south of San Felice Circeo. With its 7 square kilometers and a half, the island is almost completely hilly: dominated in the center by the Core mountains (201 m), Tre Venti (177 m) and Pagliaro (177 m), reaches the maximum altitude with 280 m of the Monte Guardia, located at the southern end of the island. Its coasts and beaches are jagged, rocky and volcanic where, even today, you can see the numerous extinct volcanic craters that give this strip of land a truly fascinating appearance. 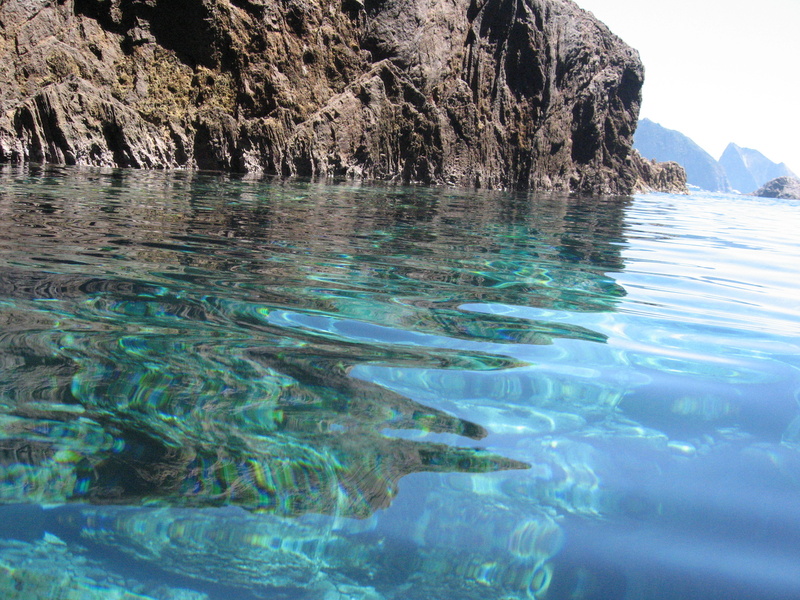 The presence of underwater caves and cliffs, moreover, attract every year thousands of passionate divers, as well as of course swimmers, who prefer the famous beach of Chiaia di Luna, south-west of the island, surrounded by a high cliff on the sea. La Scogliera and the Faraglioni by Lucia Rosa, named after the protagonist of a tragedy that really happened in the 19th century. Lucia Rosa was a young woman of nineteen years, in love with a poor farmer but prevented to marry him for the opposition of the family: the girl, in despair, committed suicide by jumping from the high cliff, which was renamed in its name by the inhabitants local. Ventotene, whose territory mainly composed of tufa, extends on the homonymous island and on the nearby minor island of Santo Stefano, clearly visible from the ground in the north-west side, both belonging to the archipelago of the Ponziane Islands. With an area of ​​1.54 square kilometers, it is the smallest municipality in central Italy. On the island you can admire the Roman Port, built by the Bourbons and entirely made of tuff, m the Bourbon Village, the Castle of the main square, the Convent Church of Santa Candida and the Roman cisterns, St. Stephen's Prison, built in the eighteenth century in the shape of a horseshoe so that the prisoners were and always felt observed by their jailers. It has hosted famous prisoners: Risorgimento patriots, persecuted politicians of fascism and the anarchist Gaetano Bresci who died here in circumstances never cleared up in 1902. ...Ischia is part of the Metropolitan City of Naples, and is located at the northern end of the city. It is the largest of the Flegree and with its 64.115 inhabitants is the third most populous Italian island, after Sicily and Sardinia. 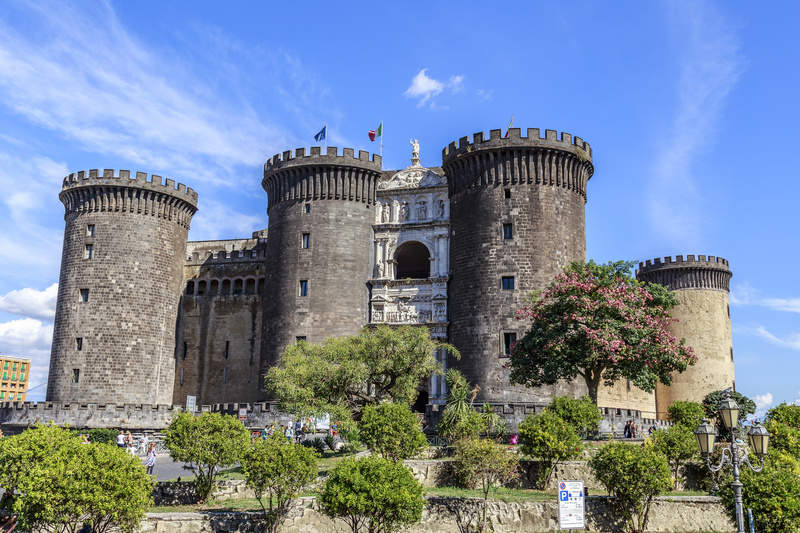 Known in antiquity as Pithekoussai or, in Greek, Pithecusae, it is a strong tourist attraction for the Gulf of Naples and for the city itself. This island paradise offers a lush nature, a strong character typical of volcanic formations, waters and spas known since ancient times, an explosive gastronomy and a sea that enchants! This island has all the features to spend the day on Dream 1 and make it a success. 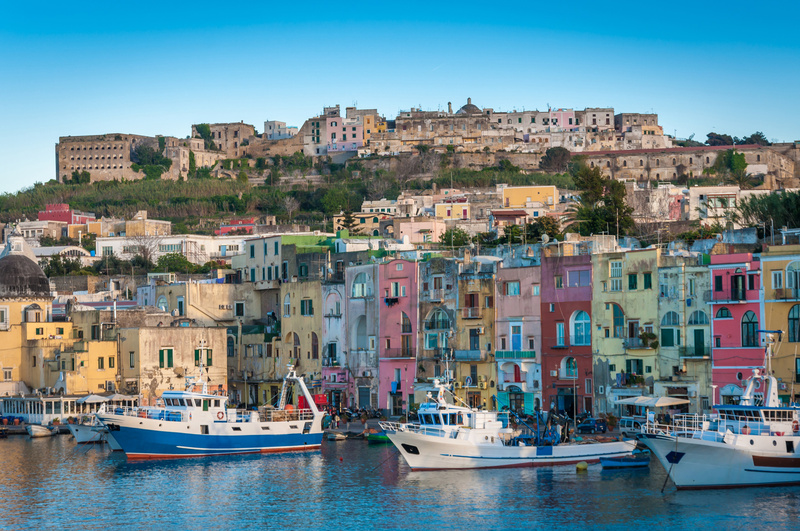 The Island of Procida is part of the Pelagie Islands, which are located in the heart of the Gulf of Naples. The oldest seaside village of the island, Marina Corricella, dating back to the seventeenth century, is perhaps the main symbol of the island: arranged amphitheatrically on the sea, with its colorful houses and particular architecture with a palette of domes, loggias, stairways , arches, stairs make the arrival in Procida exciting! Marina Grande, on the other hand, is the main port, a typical fishing village where the Palazzo Montefusco or Merlato is worth visiting as it has a characteristic crenellation. Its fascinating coasts and coves are well known, such as the Scogli Cannone, dello Schiavone and Sant'Anna where you can stop for a refreshing dip. 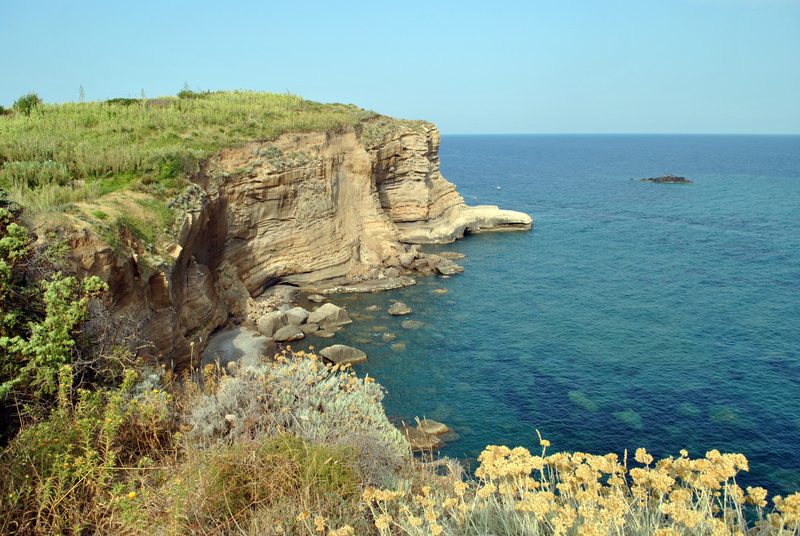 Of volcanic origin, Procida presents coasts are partly low and sandy and partly high and jagged. Naples offers a variety of attractions to lose your head, first of all ... the pizza to be enjoyed in a typical restaurant, perhaps on the Lungomare Caracciolo, a romantic walk to the sea that frames one of the most popular areas by Neapolitans and tourists thanks to the imposing Maschio Angioino. Castel Sant'Elmo, the Certosa di San Martino, the Chapel of San Severo, the Royal Palace, the Chapel of the Treasure of San Gennaro, Palazzo Carafa and the incredible Christ Veiled, a statue of Jesus who seems to breathe under a veil of marble, the typical alleys, the stalls of cuculli and olives, the street vendors and the smiles of the population... 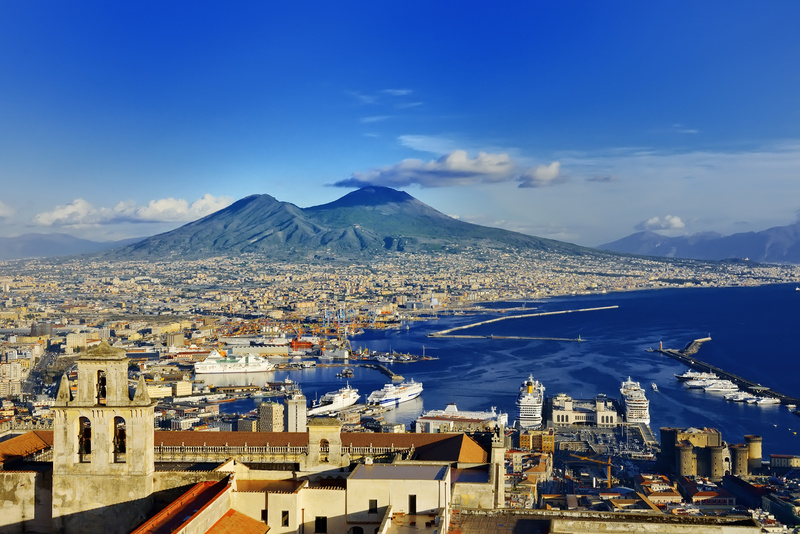 These are just some of the experiences to be experienced in Naples. A sailing holiday to dedicate the days to sea and land activities, alternating baths, snorkeling and sailing to walks in the places touched. Not only the sea, not only pretty tourist harbors and romantic coves, not only the excellent company of our traveling companions, but also the desire to live with your feet far from the ground, in all senses and let the wind and the sun think up the rest. A cove in the cove, from port to port, every day a different destination, one for all: for those who want to enjoy the sea only relax, for those who prefer to live intensely with a more sporty spirit for those who want to combine the cultural interest to holiday in freedom, up to the queen of the journey: the indescribable and rich Naples! ...all the ingredients are there, then set sail to discover these two small archipelagos! Discover our Cruises in the Pontine and Flegree Islands!